Before I get into comparing Drip vs. Aweber, it's worth noting that I think a fairer comparison would be comparing Drip vs. ConvertKit or Aweber vs GetResponse. This is because these solutions are generally closer to each other in terms of features and target market, so the comparison is more fruitful. Solutions like Drip and ConvertKit focus heavily on marketing automation, while Aweber is more of a traditional web-based email marketing software. Despite their best efforts to compete in the marketing automation tools (sort of a sub-niche of email marketing tools) space, they're still lagging heavily behind their competitors. As you progress through this post, you'll understand that Aweber and Drip target fundamentally different markets. 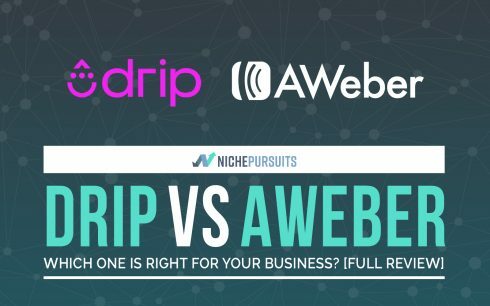 I've already given an in-depth tour of Drip in the Drip vs. ConvertKit post, so this post will focus more on exploring Aweber, and then comparing its main features/pros and cons with Drip then finally helping you choose the solution that would make sense the most for your business needs. 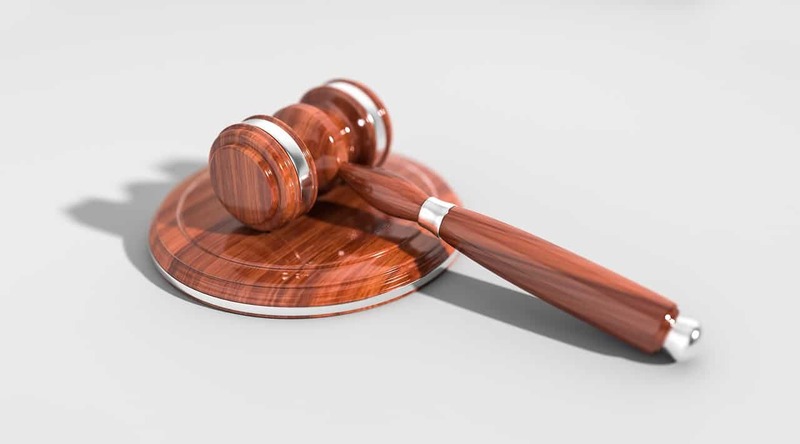 If your time is limited and you need a quick conclusion/recommendation, jump to the last “Verdict” section of this post. If you have time to do some in-depth exploration, strap in and read on! In December 2013, Rob Walling founded Drip. Walling did not have the technical capabilities or expertise to build the app by himself, so he hired a developer, Derrick Reimer to do so. Reimer quickly abandoned the “hired help” role and joined in as co-founder. Landing page building mammoth, LeadPages, acquired drip in July 2016. As of writing this, Drip boasts close to 5,000 customers and they've sent over 1.8 billion emails on their customers' behalf to date. Aweber is ancient history when compared to Drip. It was founded in 1998 by Tom Juzer. They've been a de facto industry standard for over a decade. That is probably due to their very early existence, coupled with their innovative platform (at the time!) and solid support. Over the years, things changed, though. Email was a thing prior to the 2000s and even a few years afterward. The idea of having your own personalized inbox in this new virtual space called the internet was thrilling. I think the first time I created an email account was in elementary school (that was obviously before email was mandatory to sign up for virtually any online service). People simply created email accounts because it was the new cool thing. A friend of mine walked me through the Yahoo! Mail signup process and voila! My own email address and inbox were born. Like practically everyone else, I read any and every email I received with excitement. In fact, I gave my email address out to everyone I know (and don't know) so that they can email me. In that sort of climate, Aweber was the perfect email marketing tool. It allowed you to send email broadcasts to thousands of people and automatically send timed/delayed email sequences to your subscribers. During that era, you didn't really need a lot more than that to get great results from your email marketing campaigns. Fast-forward almost a couple of decades later, and I'm now very wary of anyone/anything that asks for my email address. In fact, disposable email address providers such as Temp Mail are now my new best friends. Any checkbox that mentions anything about “join our newsletter”, “get our latest updates” or “email me special offers” almost gets an instant “uncheck” without thinking twice. I use UnrollMe to kill most email newsletter subscriptions in a satisfying whack-a-mole manner. How is all of this relevant? It's simple. People are tired of Spam. People are tired of sifting through their inbox and going through dozens (if not hundreds) of irrelevant emails. One thing hasn't changed over the years, though. I still read every single email that is addressed to me from “real people”. Personal emails. Emails that have been written to ME. Not to a thousand other people. Or at least, emails that look like they've been personally written to me. As companies started fighting over users' attention, smarter solutions had to be born. This is what fundamentally makes marketing automation so powerful. It allows you to trigger automated messages and sequences based on a variety of (often very specific) criteria that personalizes your emails and makes it seem like you're specifically writing to this one particular user that's reading your email. Gone are the days of using the subscriber's first name in the subject line or body of your email, and calling it “personalization”. And this, dear readers, is the crucial difference between Drip and Aweber. As mentioned earlier, if you want an in-depth Drip walk-through, please review our Drip vs. ConvertKit post. I'll be focusing more on Aweber in this section so as not to be repeating ourselves. That said, I'll occasionally mention how specific features compare to Drip, but I won't be giving an in-depth Drip walk-through. The Aweber dashboard is fairly straightforward and simple. Subscriber statistics take a big portion of screen real estate on the left side, displaying the number of email subscribers today, yesterday and overall in the current/default email list. On the right, it displays your scheduled broadcasts (if you have any) and towards the bottom, it shows the most recent broadcasts you've sent out and their relevant stats such as open, click, bounce and complain rates. I believe a dashboard's main purpose in SaaS products is to deliver the “bigger picture” at a glance. Some people may be strictly focused on raw subscriber growth numbers and individual email broadcast statistics and for them, Aweber's dashboard can provide a sufficient “bigger picture”. The “Cohort Conversion Rate” is similar in concept but addresses transactions/purchases rather than email subscriptions. Using these two figures, you can instantly tell how much of a good job your website is doing at converting visitors, whether to subscribers or buyers. This, in turn, would allow you to optimize and improve your whole “visitor journey” (funnel) from the moment they land on your website, up till they subscribe, purchase and beyond. This is what I call “the bigger picture!”. The ways Aweber and Drip treat subscriber lists are substantially different. With Aweber, you can have multiple email lists, each list with its own set of subscribers and settings, and each list does not overlap with the other. It's also worth noting that if the same subscriber subscribes to two separate lists of yours, they now count as two separate subscribers and you're charged for them twice (no kiddin'). Drip is a lot more versatile in this regard as they have one “master” subscriber list. You'd then sort and segment those subscribers using features such as “Tags” and “Segments”. This allows you to have an unlimited number of potential “sublists” from your main list. It also allows you to overlap those lists without having to add the subscriber twice (or thrice or more, depending on the number of lists you need to subscribe them to). When you browse through to Aweber's subscriber section, you're presented with the usual data: a list of the current subscribers in your preselected email list. On the left menu, you can apply generic filters such as “Unsubscribed” and “Currently Subscribed” to show only users meeting that criteria. You can also use date-based filters such as “Added in” today, yesterday, past 7 days…etc. If you want to get more specific, you can use the search feature to bring up subscribers who their data fields match specific criteria. Finally, you can easily add or export subscribers using the respective buttons. Drafts: As the name suggests, messages that are drafted and not yet active are stored here. 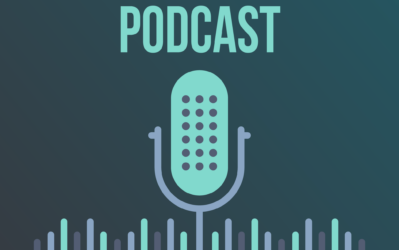 Broadcasts: Broadcasts are used to “mass email” your whole mailing list or a group of people either immediately or at a scheduled time. This is ideal for announcements, news…etc. Campaigns: Campaigns are a group or sequence of messages that are activated and sent using a variety of different triggers like subscribers carrying specific tags. They're flexible in terms of who can be included and excluded from receiving the emails, and you're allowed to pause, stop or terminate the campaign completely. Legacy Follow Up Series: Legacy follow up is Campaigns' older and much less capable version. Why they still keep it available when drip Campaigns can do everything it does and a lot more is beyond me. Maybe a lot of customers can't/don't want to make the transition. Legacy follow up series is basically a sequence of time-delayed emails that are triggered once a user subscribes to a specific list. Other than that, the feature doesn't entertain any more flexibility. You can read more about the difference over at Aweber's official knowledgebase. Blog Broadcasts: This helps you create automated email newsletters from your blog's feed. Rather than emailing every blog post you write to your readers manually, this feature allows you to skip that headache and just focus on writing and getting your content out. Drag and Drop Email Builder: With this, you can choose one of Aweber's 700+ email templates to draft your perfect email. You can drag and drop “elements” within the template to create great looking emails without breaking a sweat. Elements can be a headline, image, button, video, paragraph, signature, social media icons and more. Plain Text Message: If you want to go the simplest route, then plain text message is your best friend. This option does not support fancy templates or any type of rich media, just text. In some industries, plain text may be preferred by subscribers over fancily designed emails. These messages are also typically less likely to land in spam or “Promotions” tab in Gmail. The obvious disadvantage is that it lacks all the fancy design elements, in case you need any. HTML Editor: The HTML editor somewhat brings the best in both worlds. 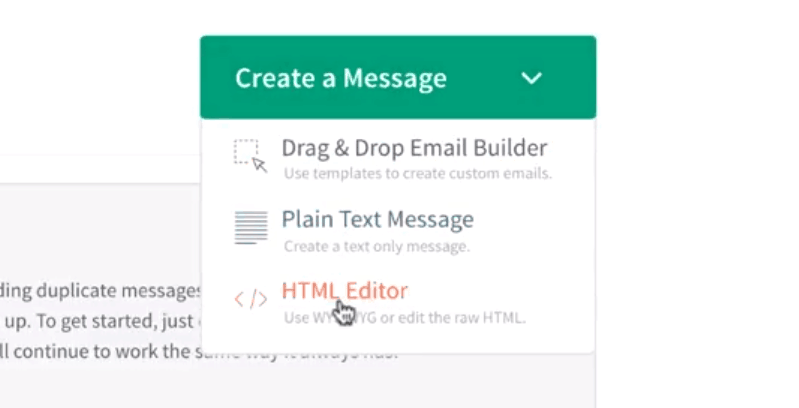 You can easily create “semi-fancy” (or super fancy if you're an HTML/CSS wiz) emails with complete flexibility that you won't find in the Drag and Drop Email Builder. You can also create “Plain Text Looking” emails in this editor if you choose to as well. This editor awards you the most flexibility but you need to know some HTML/CSS if you want to get really creative with it. 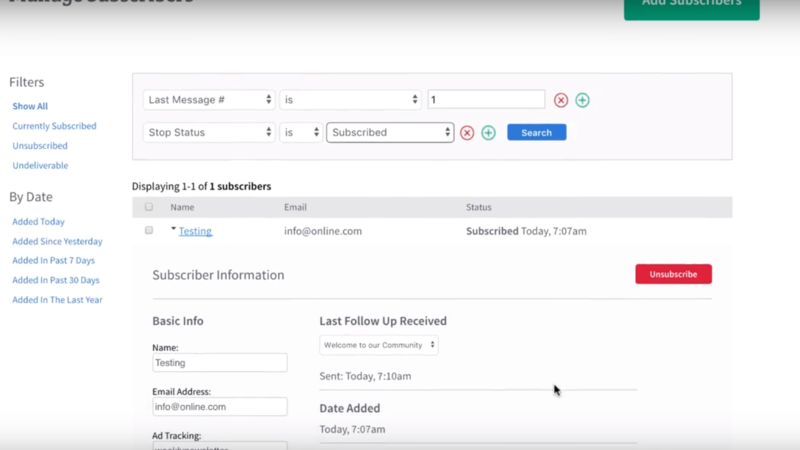 Sign up forms are basically the first point of contact your potential subscriber has with Aweber. Nowadays, they're usually accompanied by an enticing incentive (like a free ebook) to encourage the visitor to sign up for your newsletter or list. Aweber offers versatile tools that help you create sign up forms easily. In case you want to maximize your visitor-to-subscriber rates and take your lead generation efforts to the next level, you might consider using a tool like Thrive Leads. Design: In this section, you choose one of Aweber's templates and then customize the look and feel as well as the dimensions of your form. You also get to add, remove and customize the form fields. Settings: The most prominent option here is the “thank you” page. That's the page a subscriber gets redirected to after subscribing. You can choose to have the subscriber stay on the same page after subscribing, get redirected to a custom thank you page, a basic customized page with your logo or a smart video page. The smart video is a particularly interesting feature. Available for double opt-in subscribers, this feature customizes the thank you page experience by passing subscriber data from the sign-up form to the thank you page. Aweber provides a little over two dozen reports accessible through the left menu in their reporting section. 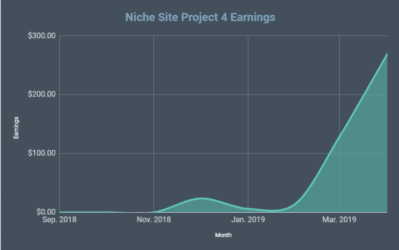 The first set of reports are the “account level” reports, these give you a holistic performance overview and allows you to see Opens, Clicks, and Revenue (if you have sales tracking) over time across all your lists. Next in line is the list reports, those allow you to track more or less the same data as in the account-level reports but on the list level. Finally, you have the subscriber related reports. 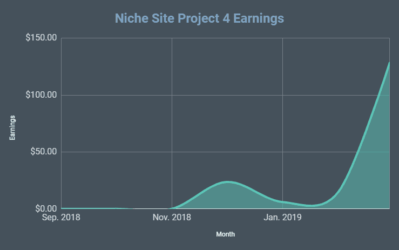 Things like daily, weekly, monthly subscriber growth, their subscription method, verification times (for double opt-in), subscriber location stats (based on IPs) and the number of subscribers currently enrolled in each follow up series and where they are in the series. Exceptional email, chat and phone support. Close to a thousand email templates to suit every taste and need. Very limited A/B testing capabilities. Limited advanced marketing automation and no visual builder. Charges for Unsubscribers and same subscribers in different lists. Rigid “list-based” subscriber management structure. 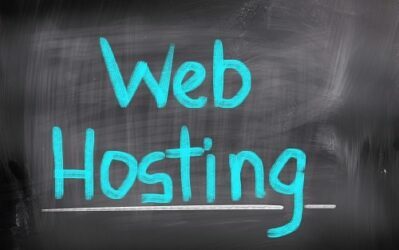 Limited flexibility with website tracking. Powerful reporting that conveys the bigger picture. TIght website tracking integration seamlessly ties between the product and your website. Advanced marketing automation visual builder helps you build really complex automation flows easily. Development and improvements are fast-paced and changes ship much faster than Aweber. Great for e-commerce store owners and seasoned bloggers. More than double Aweber's price for 500 subscribers. Deliverability is solid but it's hard to beat Aweber in that regard. 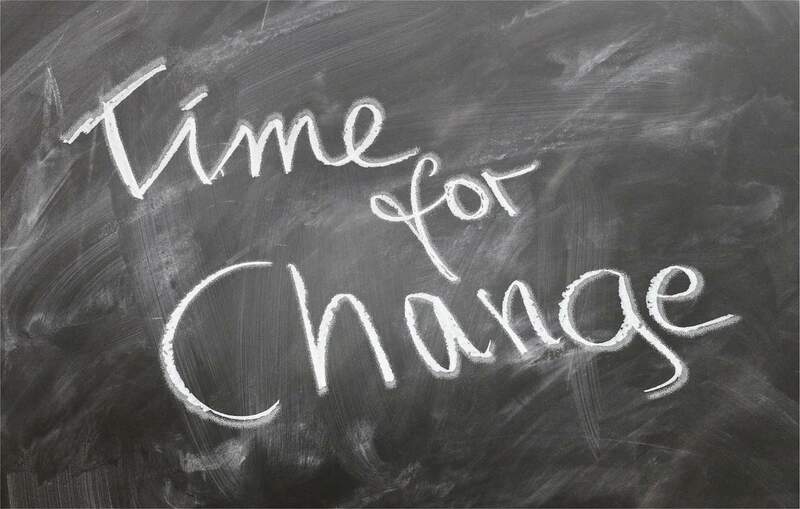 For people used to list-based subscriber management and “legacy follow up series”-like features, the change can be overwhelming and comes with a learning curve. While I don't think Drip is the ideal solution for every need out there, I generally struggle to recommend Aweber at all. I've said it in other posts here and I'll say it again: To me, Aweber just seems stuck in time. They're old, big and fat. They're slow to identify, plan and implement new meaningful changes. Younger competitors are moving way faster than them. Aweber had a chance (and still does) to up their game. However, they seem extremely slow to adapt despite their resources and roots that date back a couple of decades. This is not the only problem. 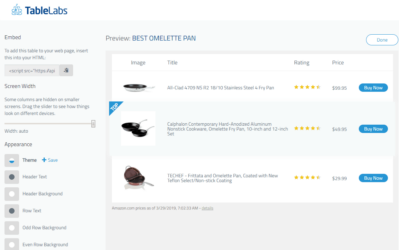 The problem is, Drip aside, there are competitors who practically offer the exact same feature set, if not more, at more affordable pricing than Aweber. Check out our Aweber vs GetResponse review for an obvious example. Note that this is strictly my own opinion. Please carry out your own due diligence before choosing a solution to go with. If you're a beginner blogger or site owner and are on a tight budget and still getting your feet wet with email marketing, go with GetResponse. It's affordable and will give you everything you need at this stage. If you're a seasoned blogger and need something a little more versatile, go with ConvertKit (Seva). It boasts a very intuitive interface, lots of great features and a great visual automation builder (not as powerful as Drip's though). If you're an e-commerce website owner, or a blogger/marketer that need more complex automations than Seva can offer, or a super tight website tracking integration, go with Drip. Unfortunately, Aweber does not get a recommendation because GetResponse and other similar solutions are more worthy of its spot, in my opinion. Which of these solutions are you currently working with and are you looking to move? Why/Why not? Please let us know in the comments section below. Have any questions? Post them below too! Complete Tailwind Review and Tutorial | Best Pinterest Marketing Tool?